Adobe Acrobat’s widespread use has resulted in its becoming a frequent point of attack for malware authors. Adobe releases security updates for recent products, but if you are running Acrobat version 8 or older, your computer is at risk. If your unit is supported by OIT Desktop Support Services, planning for the purchase and deployment of Acrobat is part of that support. In other cases, users will need to buy a brand new copy of Acrobat to stay safe. There are two additional options available for use on University computers. Purchase 2-year software maintenance when buying Acrobat. 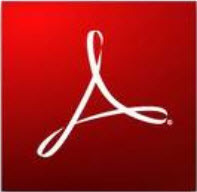 Departments can purchase a new license of Acrobat for $56.87 through the University contract software reseller, SHI. At the same time you may also purchase 2-yr maintenance for $19. The maintenance price is pro-rated if you purchase mid-term. Maintenance allows you to upgrade at no additional charge and is renewable. Thus, for only $19 every two years, you’re always current, and can take advantage of Acrobat X’s newest features, like the ability to convert PDFs to Microsoft Word or Excel files. If your 25% or more of your department uses Acrobat, you may want to consider the Acrobat Term Site License Program (TSL). The TSL is an annual leasing program. Under the TSL, a department counts all computer users in the department (“knowledge workers”), whether they use Acrobat or not. Part-time employees count ½, and part-time faculty count 1/3. This count is multiplied by a lease rate to determine the department’s total annual cost. Pricing for the April 2012 renewal has not yet been released, but is expected to be about $4/knowledge worker/year. You always have rights to upgrade to the latest version. Example: if your department has 100 employees, and 30 use Acrobat, you’d pay $1700 for new licenses, and $300/year for maintenance. Under the TSL you’d pay $400/year for always-current licenses. Then, should you need to deploy Acrobat on more computers, there would be nothing more to pay. Enrollment for the TSL occurs in April only, so don’t miss your chance! Please contact Bob Hudack 824-6759, rjhudack@uci.edu to get started. 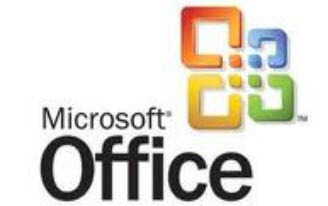 Do you need to update Microsoft Office or Windows? Mid-year UC-MCCA enrollments are due December 9th. Popular Microsoft software is available at reduced cost to UCI through an agreement between UC and Microsoft, the “Microsoft Consolidated Campus Agreement” or MCCA. More information on MCCA can be found in a previous IT News article. MCCA runs on a fiscal year cycle, with orders for the next July 1 fiscal year being placed in early May. But we now have a special pro-rated mid-year enrollment opportunity for licenses that will be newly deployed on January 1st. MCCA enrollments are usually coordinated at a department or unit level, so consult with your local IT support or purchasing office to see if your unit is participating in MCCA. This special mid-year enrollment opportunity ends on December 9th. If your unit is not yet participating, contact Bob Hudack at x46759 or rjhudack@uci.edu for help in determining if this program is appropriate for your unit. Popular Microsoft software is available at reduced cost to UCI through an agreement between UC and Microsoft, the “Microsoft Consolidated Campus Agreement” or MCCA. The MCCA agreement is an annual lease rather than a standard outright purchase, and cost is based on a unit’s employee count rather than the number of computers that will run the software. There are over 65,000 Campus Agreement Participants enrolled throughout the UC System. At UCI, the Merage School, OIT, ICS, UCI Libraries, Health Sciences, Soc Eco, Arts, Housing, Bio Sci Dean’s Office, Engr Dean’s Office, Law, A&BS, and others have enrolled. While a careful analysis of your individual situation is always recommended, units which have more computers than staff (say, a computer lab) or units which want to be running the latest release of a package are likely to find MCCA an attractive alternative. Participation in MCCA is subject to an open enrollment period which ends this year on May 6. Contact Bob Hudack at x46759 or rjhudack@uci.edu for help in determining if this program will help your unit. There’s a new low-cost licensing option for campus users of Adobe’s Acrobat software, the Term Site License (TSL). Via TSL, faculty and staff in a unit are licensed based on the number of employees they have, not the number of computers. There is simplified compliance and administration, as there is no need to track installations per computer. The next year’s renewal is just as easy. The payment is based on a new FTE count. Simplified compliance and administration No need to track installations per computer. Install on new computers mid-year at no additional cost. Work at home rights for eligible faculty and staff to use on one additional computer for work-related purposes. Under TSL, everyone in your department can gain access to Acrobat X Pro for only $3.96 /FTE / year. Orders are due by March 31st. For more information, contact Bob Hudack rjhudack@uci.edu 949-824-6759, or the University’s contract software reseller, SHI.